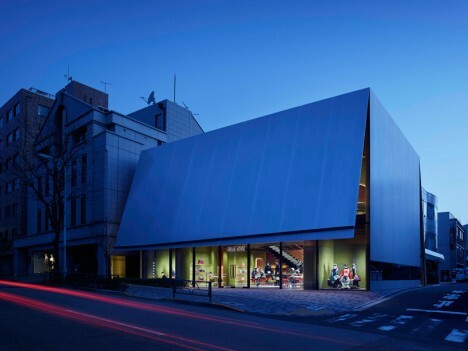 There is nothing like a good mystery to draw people in, but adapting that maxim in an architectural context flies in the face of convention, making this barely-open-box building all the more effective in how it employs the element of surprise. 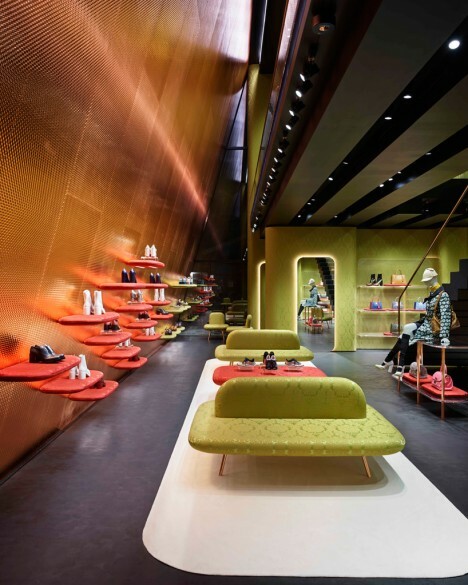 While closing people off to what is for sale may seem antithetical to showcasing wares. 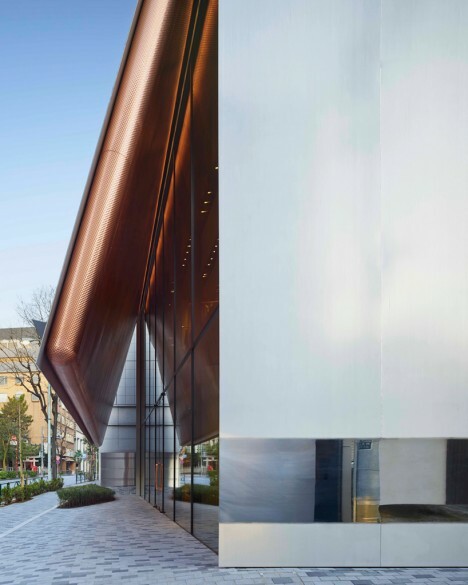 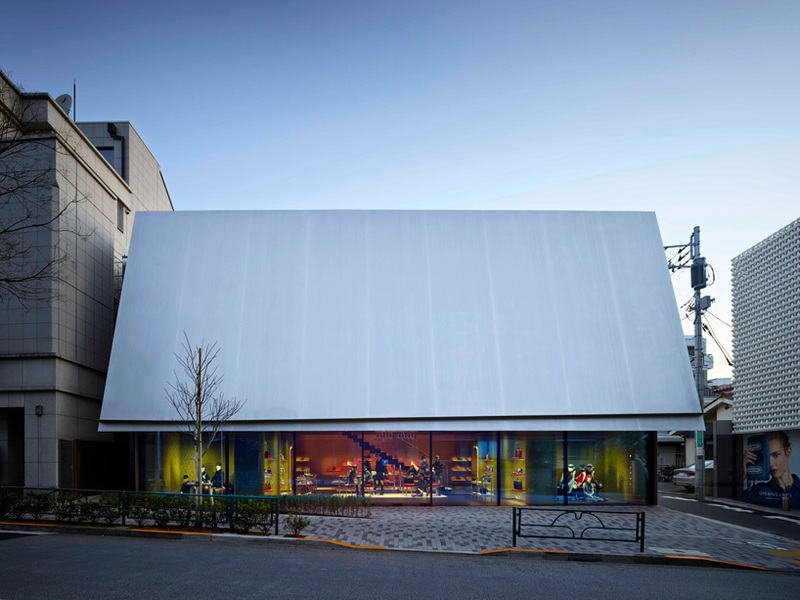 At the same time, that is precisely the paradox Herzog & De Meuron’s latest storefront for a fashionable chain of Japanese boutiques uses to its advantage. 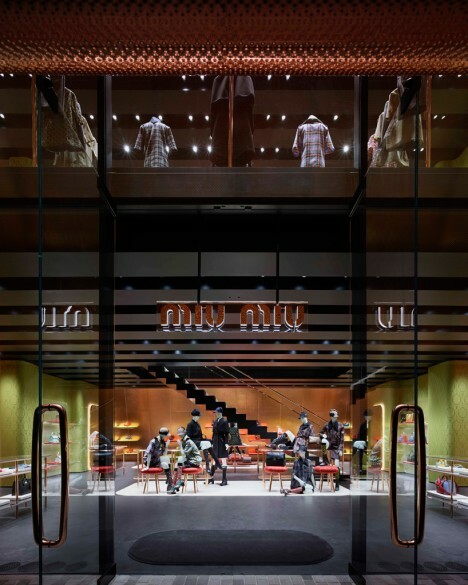 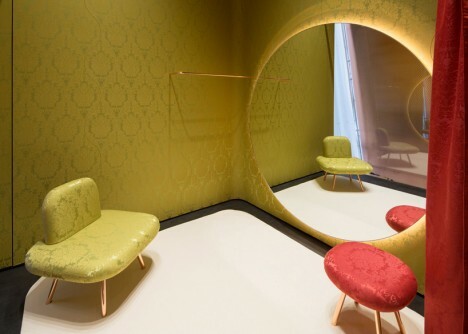 This new shop for Miu Miu, intended to be its flagship operation, works on both fronts, playing on our desire to unbox from outside while creating an intimate interior space within. 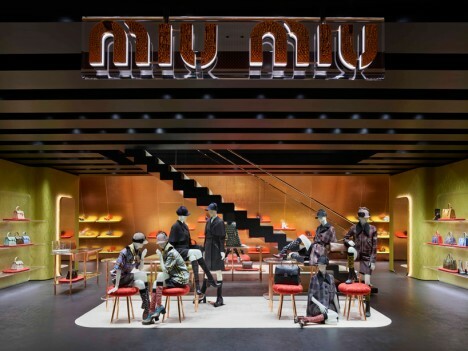 While the outside is polished and minimalist, like the case of some fresh new smartphone, the inside is set up as much like a living room as a store, encouraging people to browse, linger, sit and lounge among the various items for sale. 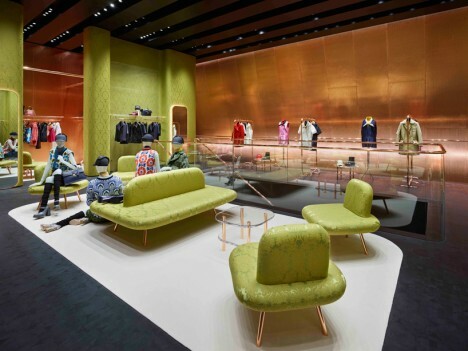 Mannequins are set up as participants and exemplars, themselves sitting on the seats or floors, or leaning against racks in the store.